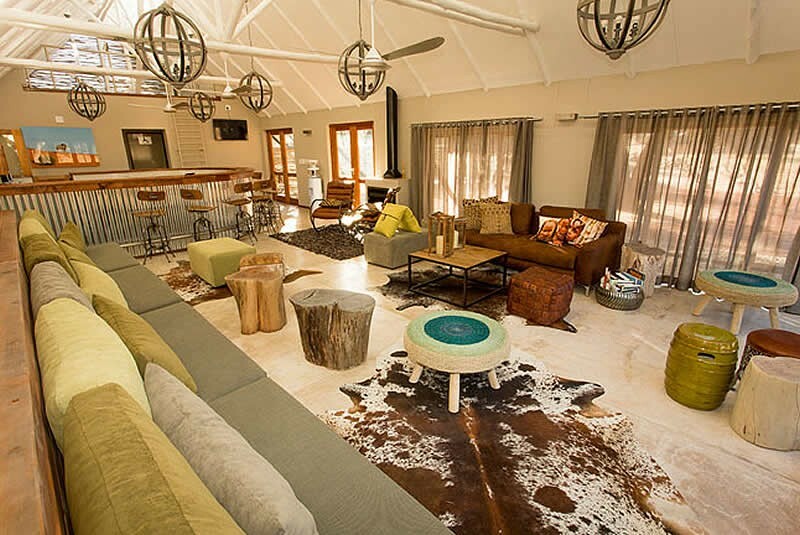 Kalahari Game Lodge is a very special place. 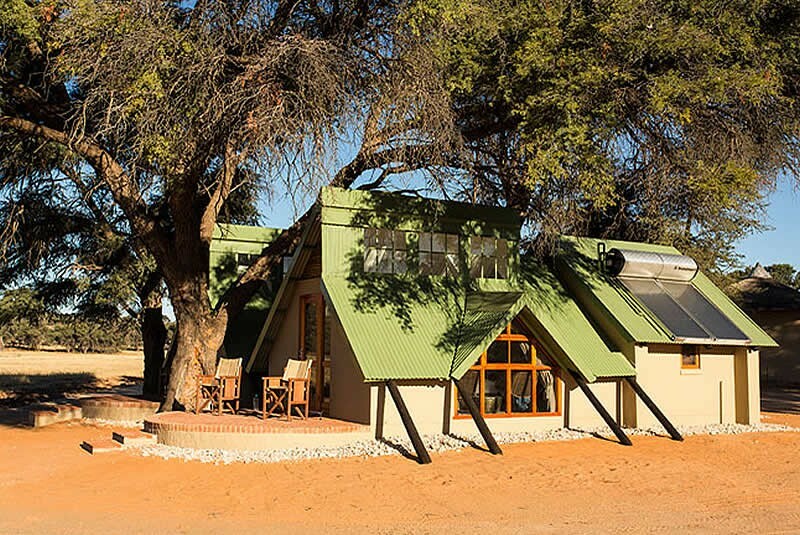 The Lodge conforms aesthetically well to the surrounding landscape as if part of the Kalahari itself. Similarly, the furnishings, decor, and trimmings are indicative of a true Kalahari oasis. As you enter the Lodge, you will melt into its relaxing atmosphere where you can enjoy ice cold refreshments on arrival and sit down to a delicious meal at the new Restaurant which caters to all the specific needs of the guests, surprising them with fresh ingredients and satisfying meals amidst the harsh and hot environment. 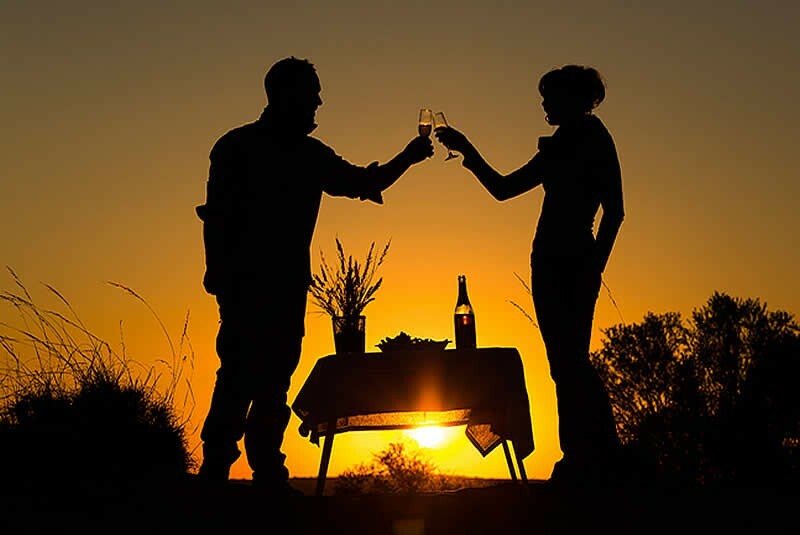 At Kalahari Game Lodge you can choose between staying in one of eight beautiful chalets or camping. Chalets are equipped with a small kitchenette, as well as an en-suite bathroom. 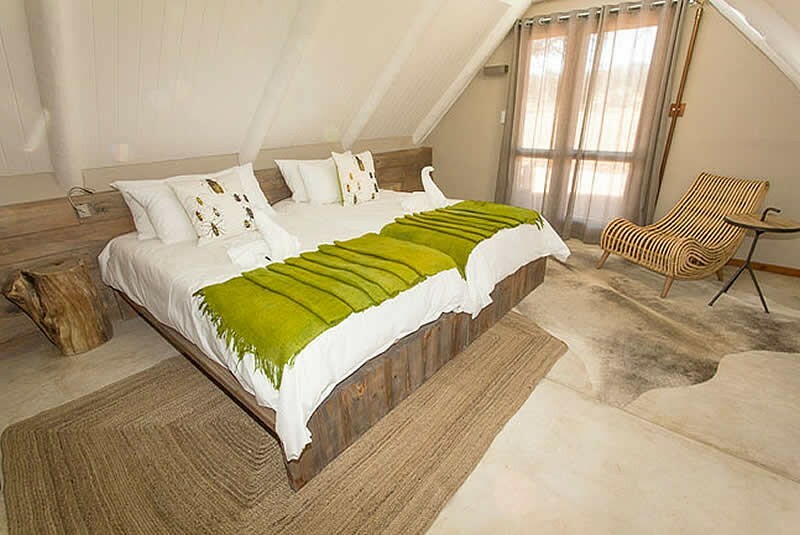 Each Chalet also has a lovely patio overlooking the Auob Riverbed, where you can enjoy your morning coffee as the sun rises over the Kalahari dunes. 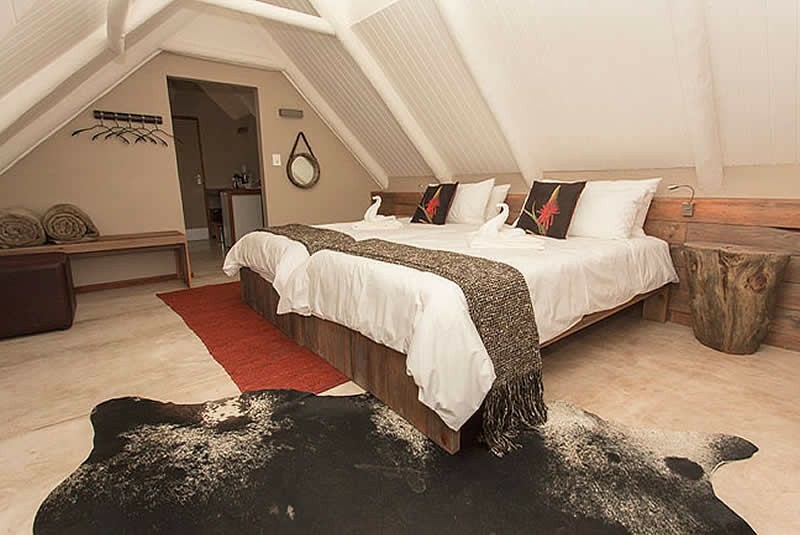 Selected Chalets are equipped with a braai area outside that provides you with the options of enjoying your dinner under the stars or you could just sit around your own campfire relaxing in the cooler evening air. The chalets are furnished with double or three-quarter twin beds, covered in crisp white linen bedding, rooms are open and spacious, providing you with the wonderful comforts of luxury living in this desolate and remote area. The design of the chalets and lodge allows for the natural circulation of air to maintain comfortable temperatures in the hot summers and creates an inviting atmosphere in the chalets. 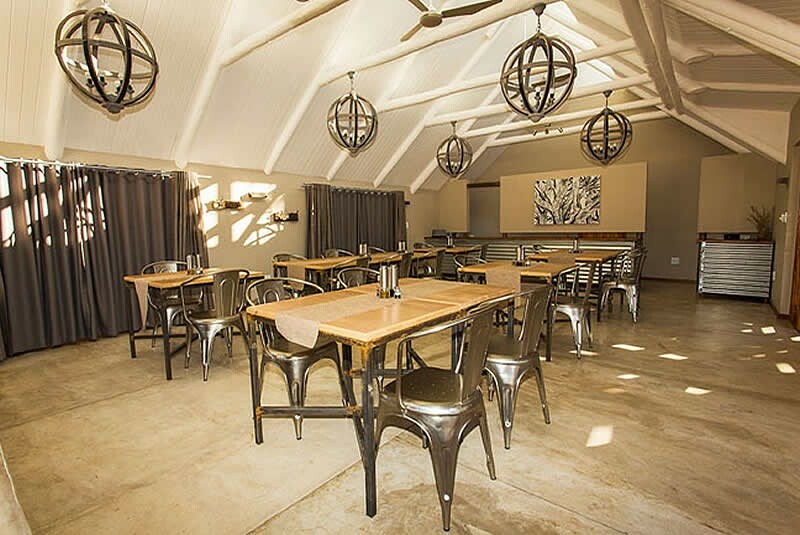 The Restaurant at Kalahari Game Lodge offers sumptuous breakfasts that are included in the accommodation price. A full lunch menu is also on offer for day travellers and dinner can be booked either to be served at your chalet or at the restaurant. A vegetarian menu is available on request, ensuring we cater for everybody's needs. 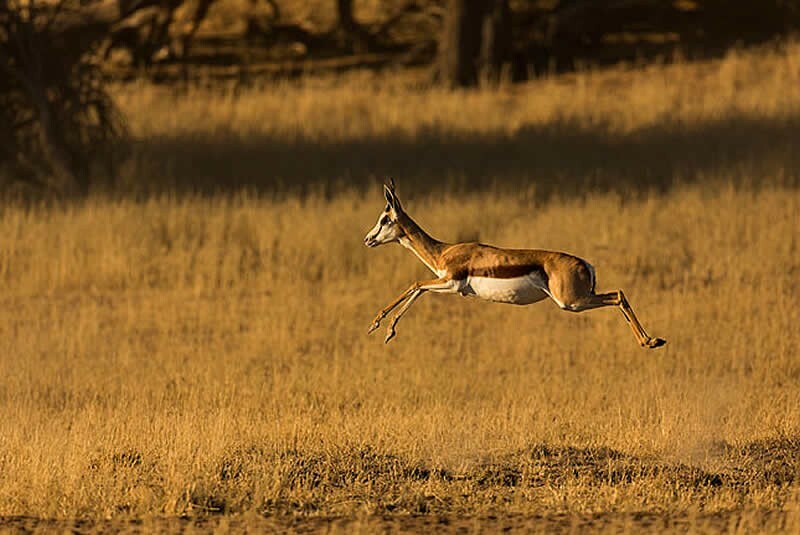 Kalahari Game Lodge has game drives all year round. 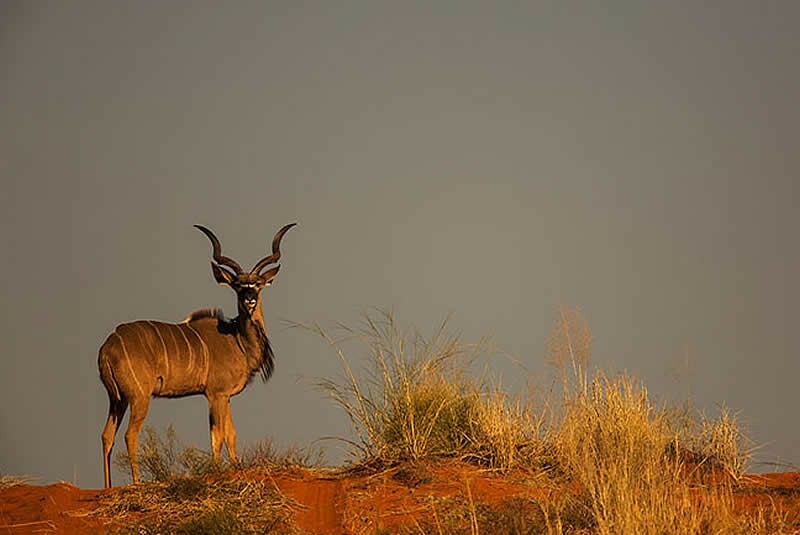 The Scenic Game Drive focuses on all the plant and animal species found in the area - our guides are very knowledgeable about the Kalahari bush and passionate about every living creature found. They will educate you on details from the smallest of insects to the tallest of trees - ensuring that this experience will be long-remembered by all. 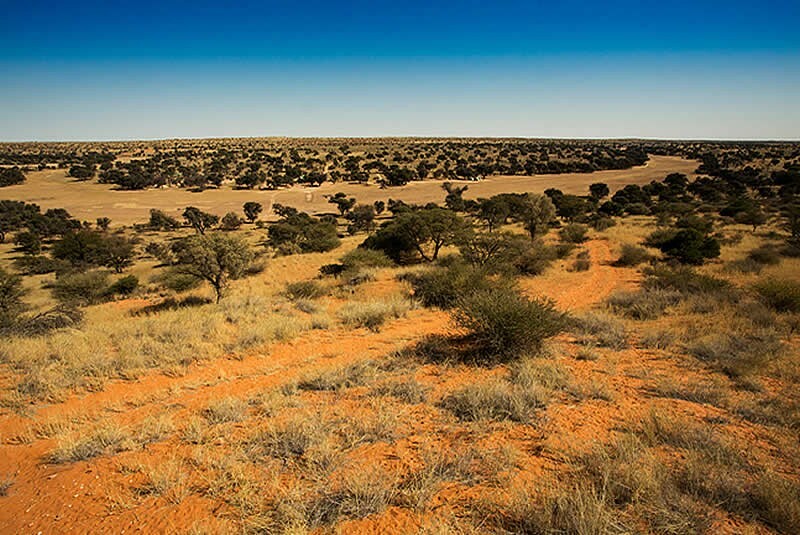 The drive also routes through the most picturesque Namibian landscapes and ends watching the Kalahari sun setting over the red dunes before returning to the warm comforts of the Lodge. 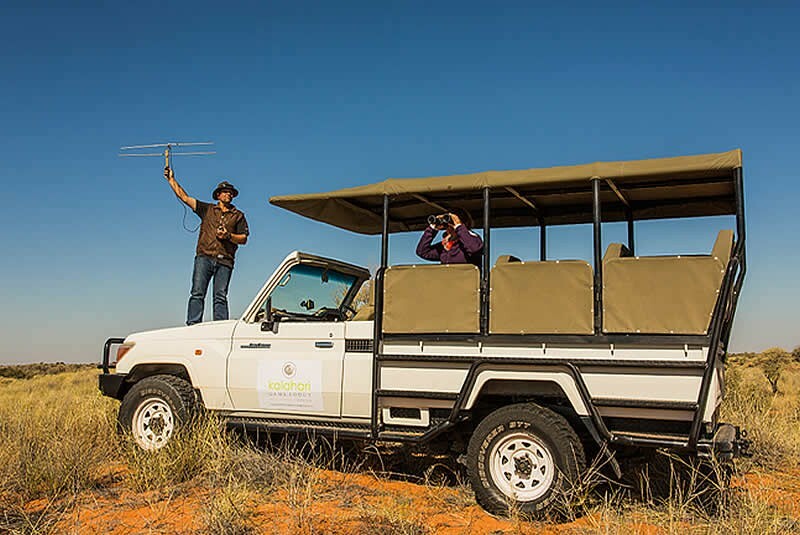 The Lion Tracking Experience is the most exciting of all the game drives where the collared lions are tracked down guaranteeing an excellent encounter with the king of the Kalahari. 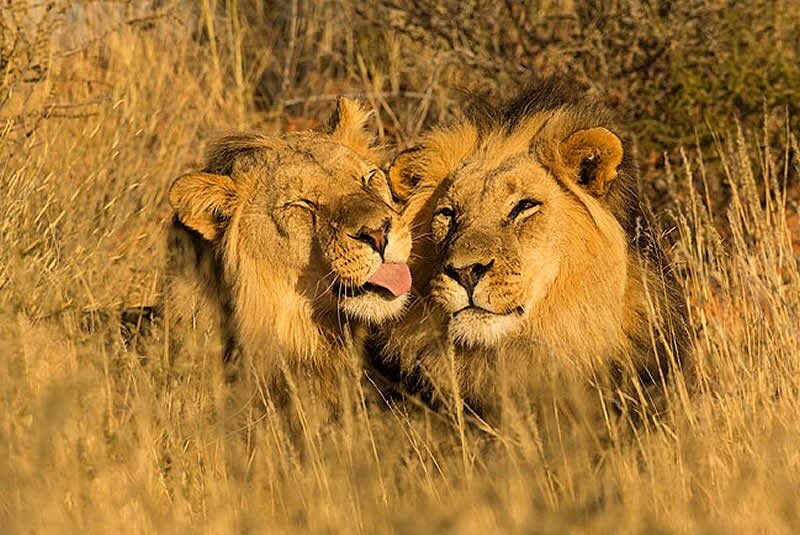 These magnificent animals are the highlight of any Africa safari trip, and to see these Lions in very close proximity is a very special part of what the Kalahari Game Lodge offers. Guides take pride in sharing their knowledge on the lions and educate tourists to fully appreciate the uniqueness of the area. 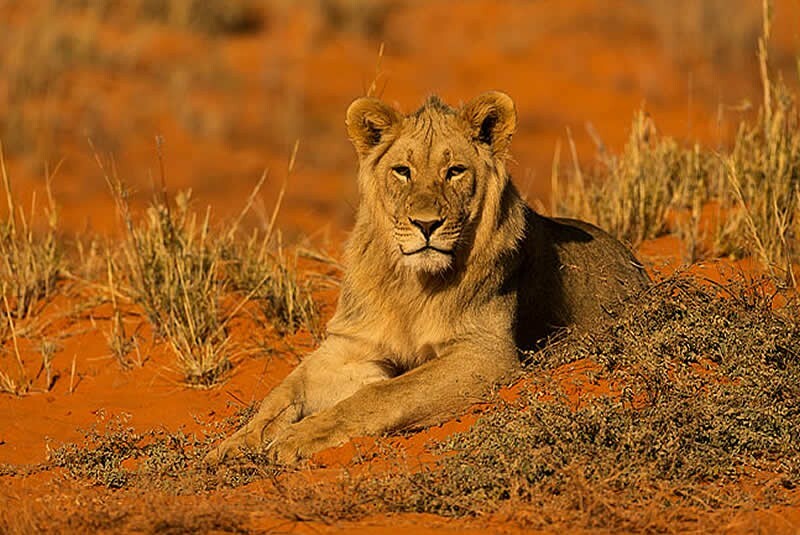 Kalahari Game Lodge is the only place in Namibia where you can still see free roaming lions, surviving the desert conditions through centuries. Night Drive when the Kalahari sand dunes takes on a whole new life. Sightings of rare animals like the Pangolin, Aardvark, Striped Polecat and the rare Brown Hyena are often made. The complete darkness of the Kalahari brings all the nocturnal animals to activity, and the dome of stars covering you makes this one of the most memorable Kalahari activities. 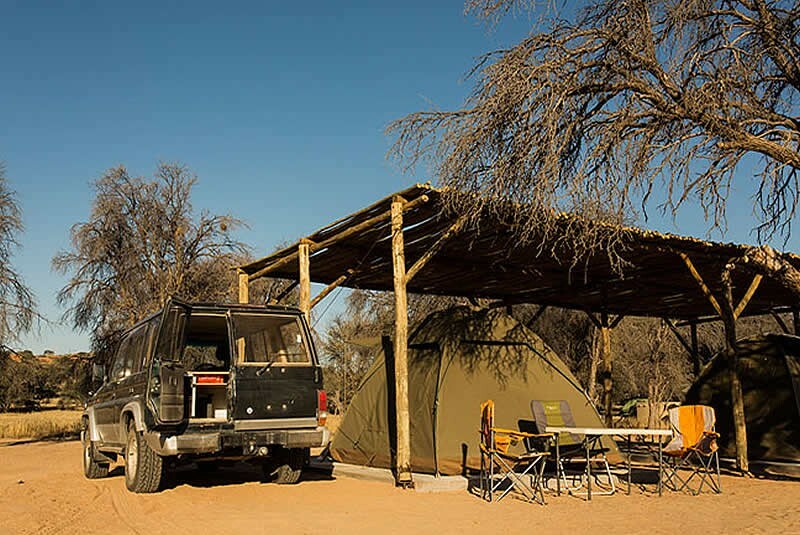 Kalahari Game Lodge also offers a Self-guided 4 x 4 trail where you can explore the area with your own vehicle taking you past some waterholes where the different wildlife congregate during the midmorning or late afternoons ensuring some excellent game viewing! 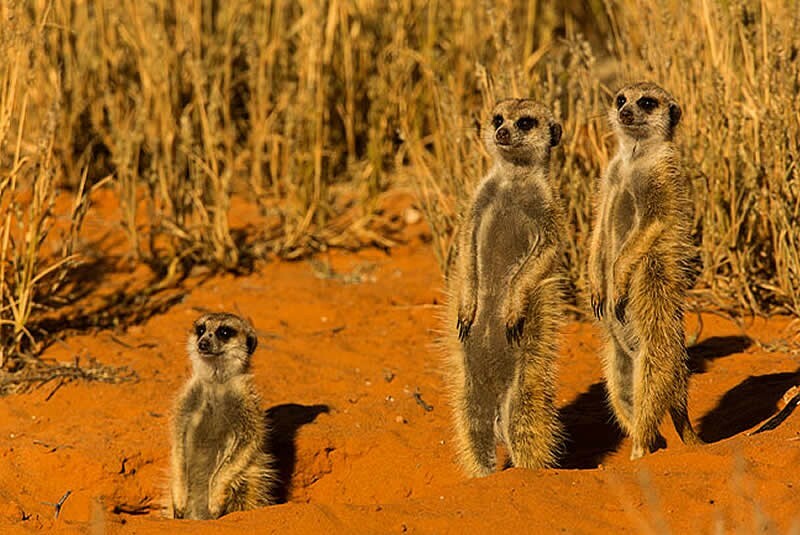 The Kalahari Game Lodge is situated on a 40 000 ha farm that lies in the heart of the southern Kalahari desert biome providing a unique habitat to 55 mammals, 58 different reptile families and 185 bird species. Professional guides accompany you, sharing their knowledge and interests on identifying wildlife tracks, habitat of the animals found, as well as the many local uses of plants in the area. This is an excellent way of enlarging your knowledge on the smaller animal species found here. There is also a self-guided walking trail from the Lodge to the banks of the Auob Riverbed turning around on top of one of the red sand dunes and circling back to the lodge again. So remember to pack your walking boots! Take a walk in the crisp early morning and witness the amazing variety of bird surrounding the Kalahari Game lodge! 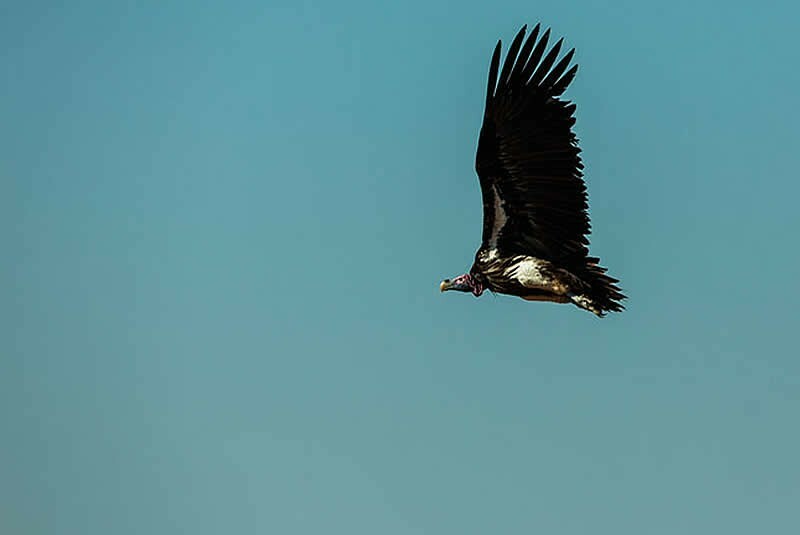 More serious bird enthusiasts can book a guided walk or a private vehicle in order to devote more time to explore the Kalahari birdlife along the Auob Riverbed as well as in the Kalahari dunes. A holiday is all about family and building memories together - therefore Kalahari Game Lodge specially caters for children too. 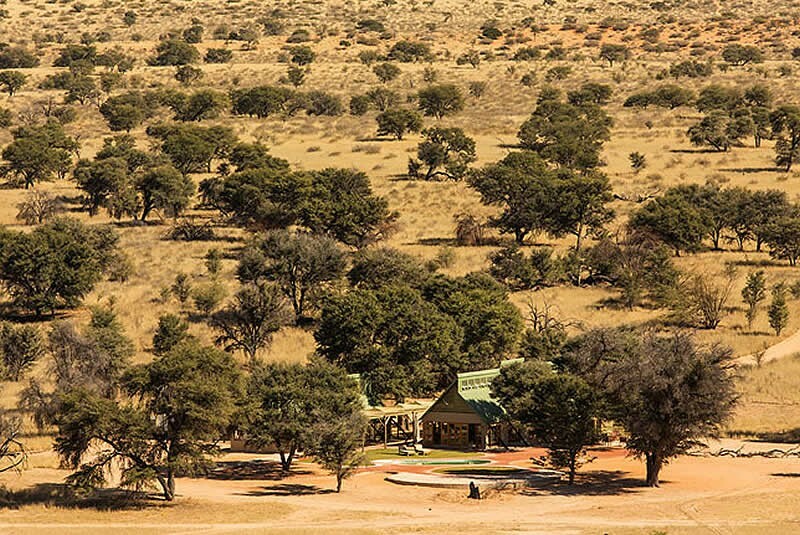 We have child-friendly activities such as walks and game-drives in close proximity to the lodge along with guides who love teaching children about the natural wonders of the Kalahari. Here children may learn more about tracking the footprints of wild animals and as well as more about the plants of the area. Parents must accompany their smaller children on these excursions and take extra time to involve youngsters and join them on a safari outing. 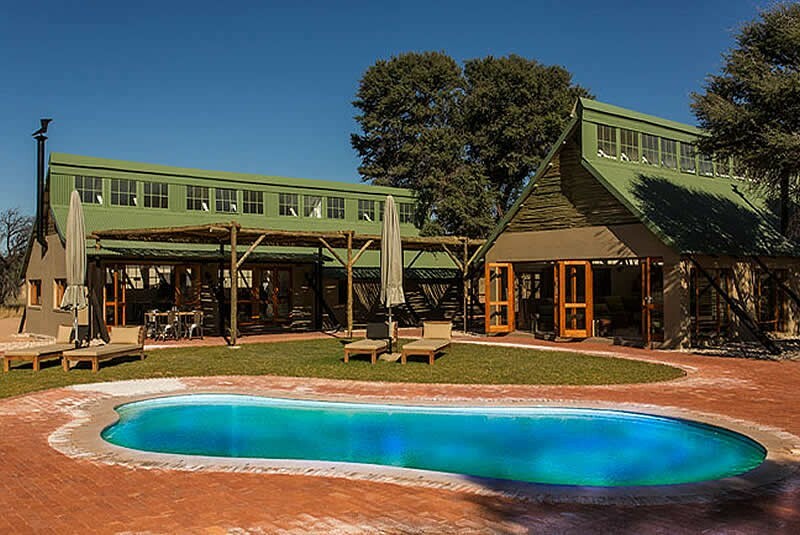 Kalahari Game Lodge is situated on the C15, 18 km from the Botswana border at Mata-Mata.